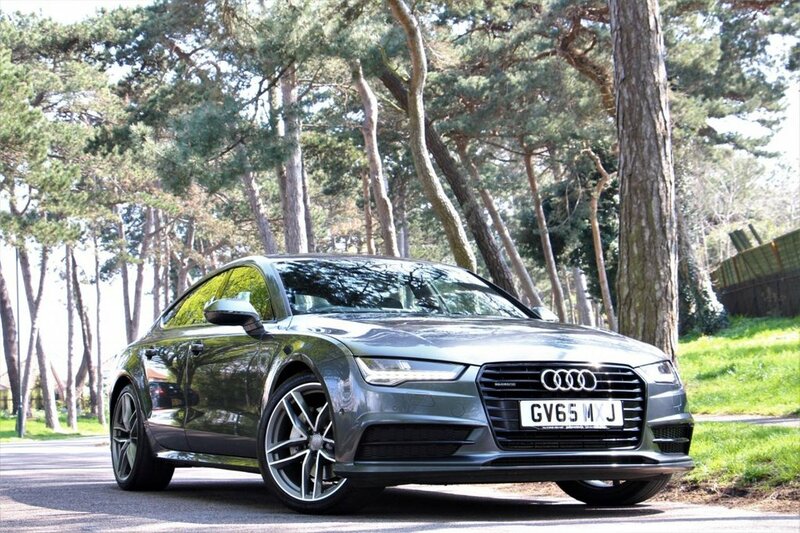 Lovely one owner example with £6,240 in factory options and full Audi Service History costing £58,970 new. The car features a Technology Package including hard drive sat nav, 64gb memory, jukebox, heads up display, media touchpad, bluetooth audio and phone interface with voice control, DVD player, wi-fi, built in Apps, double glazing, 14 speaker Bose surround sound system, DAB radio, rear view camera, auto park assist pilot, black edition black styling package, 20in 5 twin spoke alloys in titanium look, interior ambient LED lighting package, keyless start, power folding mirrors with memory, scrolling LED indicators, matrix beam LED lighting system, LED daytime running lamps, electric seats with driver memory, power boot, heated front seats, Audi Music Interface, Quattro 4WD, cruise control and so much more. Serviced by Audi at 18,972 miles, 38,246 miles and new front pads at Audi at 41,739 miles. In Daytona Grey Pearlescent. All keys and bookpack present.